For marketers and marketing teams of all sizes. Pros: In recent months I have used many web analytics programs and all require some degree of experience and knowledge to read, interpret and improve results, Resultrak simplify our work and help us improve our online marketing faster. 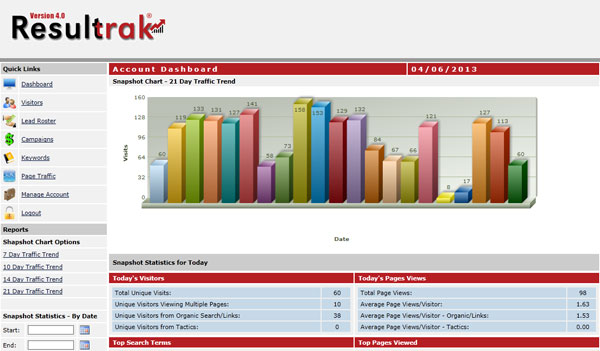 The best thing about Resultrak is the tracking information of our visitors and the real keywords that work to improve our SEO. Cons: It is an excellent program, I think it could be better if in the next updates more functions are created that facilitate the work of the marketers.